This week we’re welcoming Rosie Dunbar to Progressive Travel Recruitment to head up our new Travel IT and Technology Recruitment division, as Senior Account Manager. Rosie has both extensive travel recruitment experience and specialist IT recruitment experience from an agency perspective. She has also worked as a Travel Manager, so like the rest of us here at Progressive Travel Recruitment understands a brief and what should be considered when searching for talent in the travel industry. 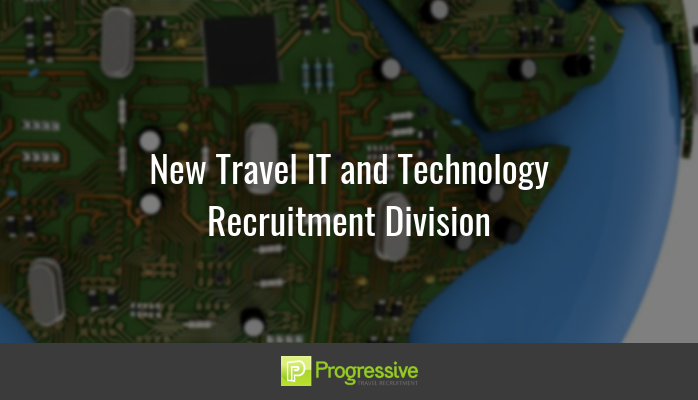 Here at Progressive Travel we recognised the need to hire a Travel IT and Tech recruitment specialist. With Rosie’s obvious drive, expertise and ambition, we think this will be a great success. Until now, this has been the only area and discipline within the travel industry that wasn’t being covered by a specialist in the team. Travel tech and IT jobs are on the rise, and we want to offer the opportunity to expertly fill every single role for which our clients ask us to source candidates. Almost all travel businesses require technical expertise. It’s an industry that’s incredibly reliant on systems working effectively. The travel industry is fast paced so it is essential our clients keep abreast of the latest travel technology and IT trends. This is a sector that’s getting a lot of interest at the moment, particularly with the rise of AI, therefore it’s ever changing. AI in travel is a hot topic and we hope that the industry will see us as the go-to agency for recruiting staff for travel AI roles. I think the challenges of recruiting for travel tech and IT jobs is in attracting top talent sometimes away from other industries. However, if you’re an IT expert and love the travel world there are some great opportunities out there, with more being created all the time. Travel companies must keep up to date with the latest travel tech so they can attract the talent that can support it. This is a great opportunity for us to position ourselves in this space, and for Rosie and Progressive to become the go-to names for travel IT and tech recruitment for vacancies and candidates. Need a travel IT or tech vacancy filled, or are you after a new travel tech job? Connect with Rosie on LinkedIn here.